The UK paperback edition of Renegade’s Magic set to be published July 1st can now be ordered from amazon.co.uk. The cover art of Orandula is by Jackie Morris. Robin has posted about her recent trip to France at her myspace and also added some photos to her photobucket album. The French fans are treated to yet another beautiful cover—this time by the publisher Baam! that is reprinting the Farseer trilogy. 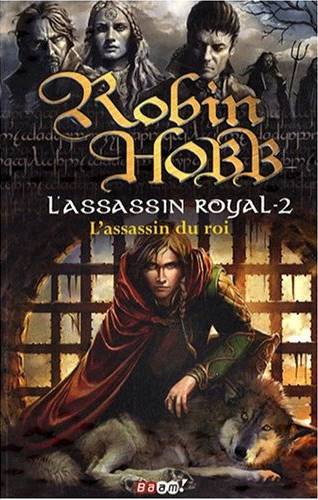 This is part one of two of Royal Assassin. I think this is the fourth different edition for the French already, unless I’m totally confused with all the splitting and regrouping! Also, Anneke sent us a report from the Elf Fantasy Fair in the Netherlands that was held back in April. You can see it here. Thank you, Anneke! 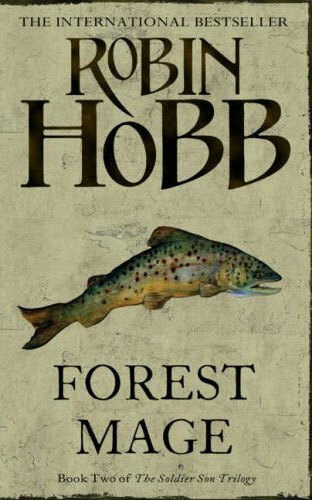 Voyager has published a new cover for an upcoming paperback edition of Forest Mage. It’s a brown trout by Jackie Morris and the book is scheduled for the 2nd of July 2008. Thanks for the folks of Rivages Maudits for spotting this!